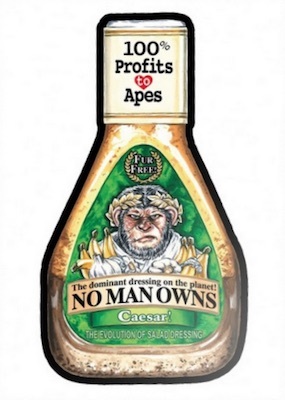 The Oscars may be associated with the very best in the entertainment world, but 2018 Topps GPK Wacky Packages Not-Scars shows us that even A-list celebrities can get taken down a peg. All in good fun, of course, the parody release highlights some of the biggest films and stars at the 90th Academy Awards. 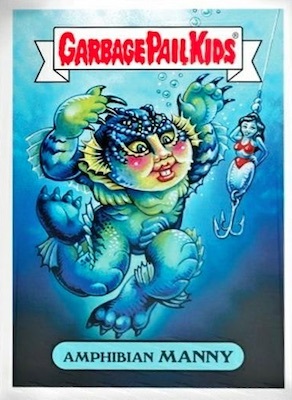 The Garbage Pail Kids portion features Amphibian Man from The Shape of Water, actress Meryl Streep from The Post, and Gary Oldman as Winston Churchill in Darkest Hour. 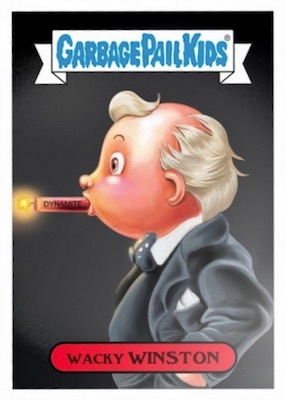 While there are only three images used, each subject has an "A" and a "B" title, for a total of six GPK cards. 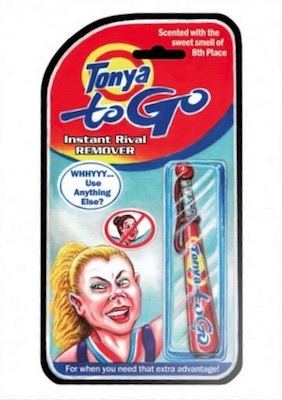 The checklist finishes with Wacky Packages, including a Newman's Own salad dressing-take on Cesar from War for the Planet of the Apes, and Tonya Harding from I, Tonya reimagined as a Tide To-Go Pen package. 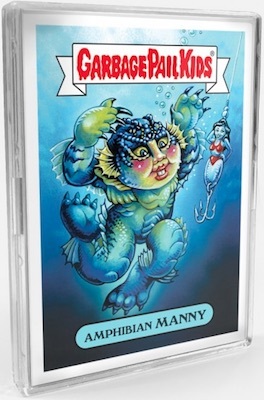 2018 Topps GPK Wacky Packages Not-Scars includes eight sticker cards per set for $34.99. The selling period goes on for one week and Topps only prints the number of sets that are ordered. 5 images and 8 total cards. Shop for cards on Topps. Available at Topps until 03/12/2018.